How important do you think grandparents are to a growing child? Are they are helpful or interfering? Are they vital to all children? How important do you think grandparents are to a growing child? Are they are helpful or interfering? Are they vital to all children? Payal replied. Grandparents love being with grandchildren.Children need to have that kind of family bonding and affection from small. They guide them in the right way by telling them their experiences. Ulka Singh replied. I think grandparents are very helpful and seldom interfering. Right from the time they become grandparents, they enrich us with their wisdom and experiences. With so much of an experience, they are very helpful. I remember when my kid was small, he used o fall ill frequently and it was with my in-laws experiences that I smoothly sailed through that phase. Misha replied. Grandparents are like guiding light to a growing kid. they give the right direction to the kid. now with both parents working and busy with their work, it is important to have grandparents around the kids. they provide emotional support and also love and warmth to the kid. Grandparents love being with grandchildren.Children need to have that kind of family bonding and affection from small. They guide them in the right way by telling them their experiences. yes grandparents are needed to teach kids about ethics of life in a very kind way. grandparents are kinder to their grandchildren they become children when they are around them. I think grandparents are very helpful and seldom interfering. Right from the time they become grandparents, they enrich us with their wisdom and experiences. With so much of an experience, they are very helpful. I remember when my kid was small, he used o fall ill frequently and it was with my in-laws experiences that I smoothly sailed through that phase. Grandparents can be interfering but that´ s seldom. Their concern is thought of as interference. 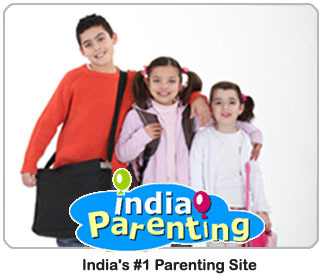 They are very helpful as they act as a bridge between parents and kids. Kids are closer to their grandparents as they get uninhibited love and attention. So many a times it so happens that they are a medium of communication. Teaching good values and morals comes naturally to grandparents. Grandparents are like guiding light to a growing kid. they give the right direction to the kid. now with both parents working and busy with their work, it is important to have grandparents around the kids. they provide emotional support and also love and warmth to the kid.